A captivating memoir of religious disillusionment, burnout and Divine Love. 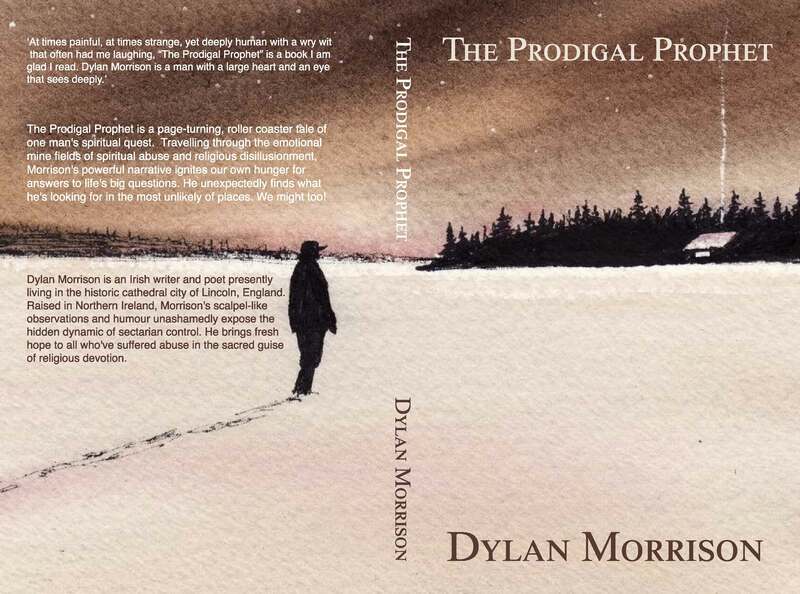 Bumping into the Divine during the infamous ‘Irish Troubles’, Dylan Morrison was blissfully unaware of the amazing yet painful psycho-spiritual journey that lay ahead for him. 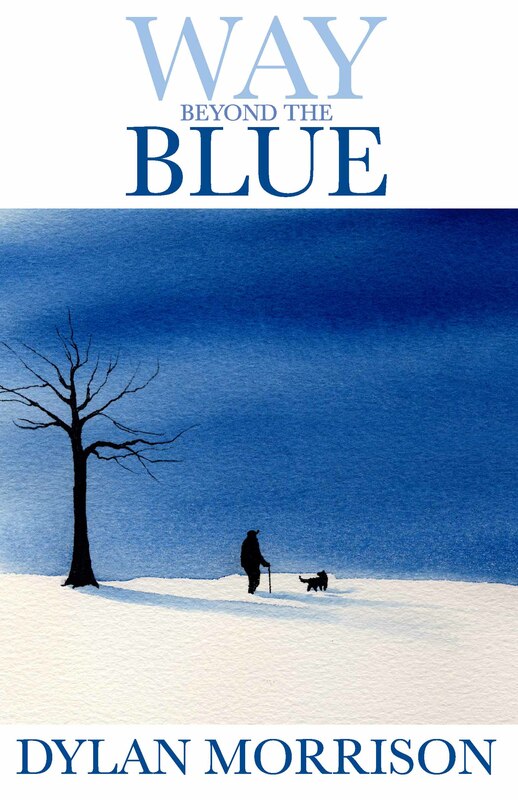 This is his story; an amazing tale of hope for all those wounded by dysfunctional religion and life’s unexpected tragedies. 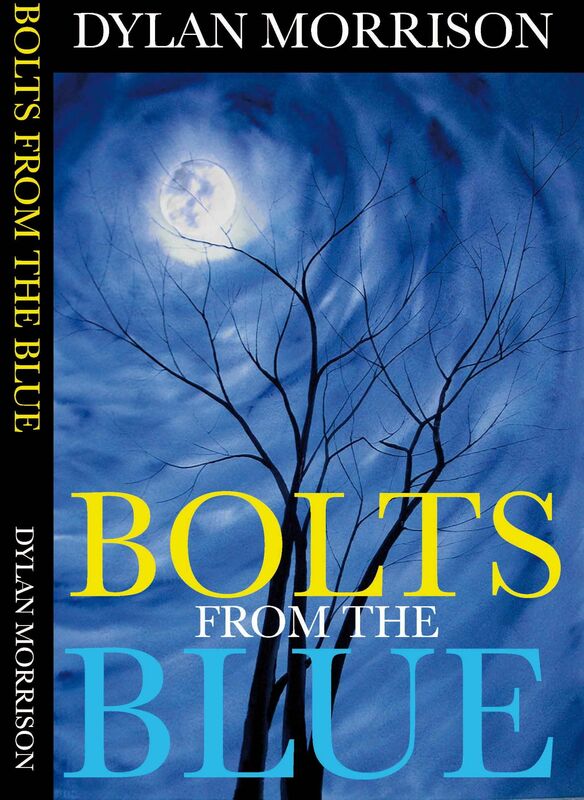 An inspirational, out-of-the-box collection of disarmingly humorous, yet poignantly prophetic, daily reflections from Irish, mystical writer, Dylan Morrison. Each short thought holds a key to Self discovery and personal freedom, advocating a new perspective on the Nazarene and His radical spiritual message. If you’re a recovering religious junkie or a curious spiritual seeker then this is the book for you. A book for both mind and heart. Rooted in the often neglected practice of Christian mysticism, Irish contemplative, Dylan Morrison. leads us into an exploratory roller-coaster tour of our inner and outer psychological landscapes. Part 1 comprises a collection of profound sayings from past and present mystics, examining their relevance for today’s psycho-spiritual pilgrim. Part 2 taps into Morrison’s own personal stream of consciousness. Images, insights and practical wisdom flow from each page, helping the reader to step out of limiting, concept-focused religion and into the place of Mystery. 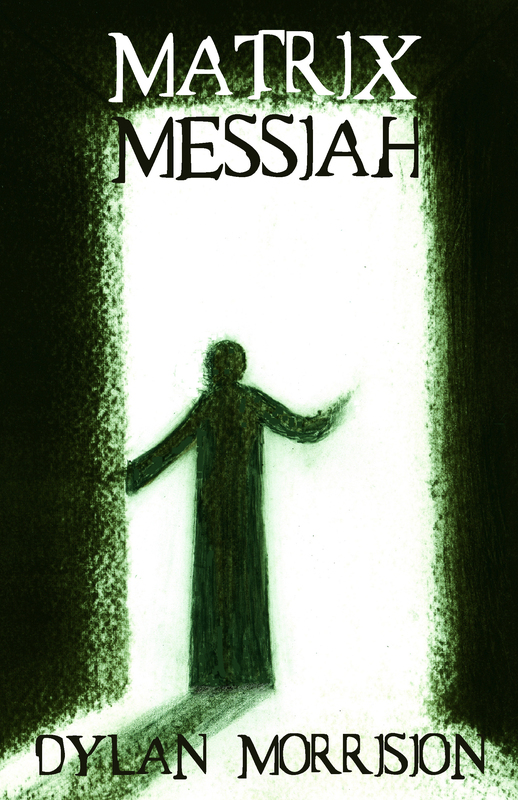 An inspirational read for all those craving a fresh take on the life and teachings of the Nazarene, Yeshua bar Yosef. Matrix Messiah lifts the lid on the subconscious matrix that most of us miss, the subliminal puppet-master of our day-to-day relationships and actions. Discover why certain people get under our skin; why we feel trapped by life; why inner peace continually eludes us. Dylan Morrison, examines the radical mission of Nazarene prophet, Yeshua bar Yosef, through the complementary lenses of Girardian mimetic theory and transpersonal psychology. The result? A key of knowledge, a long time hidden, yet deeply practical revelation that frees us from inter-personal control and cultural manipulation. A therapeutic insight into the Galilean holy man; one that will challenge the prevailing world views of Christianity, atheism and just about everything else in-between. 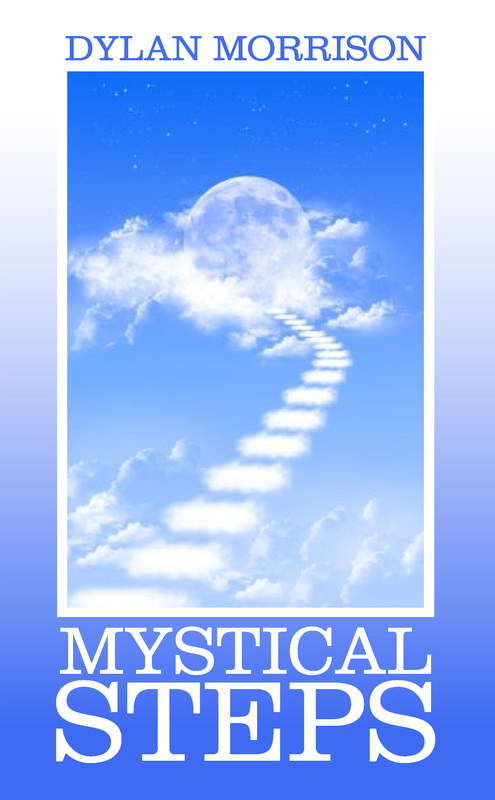 Mystical Steps is a down-to earth, inspirational guide to mysticism, for those interested in exploring its unique take on Ultimate Reality. Although present within the experiential histories of all the world’s major religions, mystical encounters still remain enigmatic to most people of faith and those of none. Morrison introduces the reader to three common strands that encapsulate most mystical thought and practice, before leading the would-be mystic through the practical steps that can be taken on the journey into Divine Love. A much needed book for those who thirst for more, irrespective of their metaphysical camp. Jesus, Junkies & Abuse is a book about elephants in the religious room; those damaging relational aspects of faith that are hastily excused, or embarrassingly brushed under the sacred carpet. Dylan Morrison tackles both the addictive aspects of God-fearing belief and the hidden spectrum of spiritual abuse that often lurk beneath the surface of otherwise ‘respectable’ faith groups. Part 1, ‘Religious Junkies’, is Morrison’s somewhat humorous, yet highly perceptive look at the phenomenon of religious zealots, with practical tips on how to live with them. Part 2, ‘Spiritual Abuse’, the subliminal dynamic of desire contagion and its hidden role in birthing religious control is examined. Part 3, ‘View From Beyond’, is filled with Morrison’s pithy observations and insights from outside the flock box of organised religion. Here, he outlines the various stages of healing for his fellow abuse victims, those damaged by their previous involvement in all things sacred. Reading this much needed survival guide for believer and non-believer alike, is to bring to light the cause of religious fanaticism and subconscious faith group control. Divine Love is an inspirational collection of spiritual musings from the pen of Irish writer, Dylan Morrison. The fruit of a life-long, roller-coaster journey, it encapsulates Morrison’s personal take on all things God, Self and Relational. Each pithy reflection aims to release us from our propensity for self-deception, by leading us to the Mystery of Source and its healing offspring, Self-compassion. Morrison’s literary tools are humour, mixed with a disarming, Irish honesty as he examines what really makes us tick. The favoured Linus blankets of both organised religion and New Age philosophies come under his razor-sharp scrutiny, opening up liberating, new areas of exploration for the sincere, spiritual seeker. If you’re asking life’s big questions, then Divine Love is surely the book for you. Bless you, Dylan! I too have lost a child (not by death but by brain injury) and I too love Jesus. Thanks for “friending” me on Facebook. Lovely to hear from you Leanne. The trauma of ‘losing’ a child strips us bare like no other event. All that’s left in the darkness is a stark honesty that eventually feels the tender comfort of the Divine. Blessings on you and your ‘wee’ one. I too am looking for the truth from Jesus in God’s word, the Bible. I find there is not one perfect church to belong to. I pray more people search the Bible for themselves and quit depending ONLY on their church of choice for the truth. The truth is in the word and allowing the Holy Spirit to lead you in life. I also lost a child just shortly after conceiving, I never got to know if my child was a girl or boy, and because of that, I didn’t have a name for my child. I grieve for your loss. Thanks for dropping by and commenting on my story. It’s great to know that when we leave this realm we’ll somehow make up for the missing years of the children we’ve lost. I would not be the same kind of guy today if Ben had lived. Devastatingly painful for my wife Zan and I yes but somehow a precious thread in the tapestry of our Journey. Yes, the words of Yeshua do give life when Spirit energizes them – I now believe that He is the Word (Logos) that we can come into resonance with. For me Scriptures, both Jewish and Christian, have much more to reveal than most of us have been told. Yeshua’s words in Aramaic, the language He’d have spoken, take on a more mystical flavor than the Greek texts from which our English versions are translated. Hence my interest in and experiential leaning towards Yeshua’s mysticism. Hope you enjoy my other posts. Hi Lily, I just visited a Quaker Meeting. There is no preaching. everyone sits silently and meditates and prays. if someone feels led to share something, they stand up, say it, then sit down. I don’t know much more yet, but it felt good to sit there with fellow believers, seeking intimacy with God . . . all equal. anyone have more to share about Quakers? Thanks for dropping by and letting us know of your Quaker visit. I love George Fox’s Journal; its difficult to read but some real gems buried deep within. I reckon Fox had the most developed prophetic/revelatory gift seen outside the New Testament period. I think I’d have joined the Quakers when he was around. The idea of the dependency on the ‘Inner Light’ or Spirit to guide and instruct as well as their non clerical concept of ‘Body sharing’ sounds more like the real thing to me. Like all Spirit birthed movements have the modern Society of Friends institutionalized in their own uninstitutional syle. That’s a big question that I’ll leave to those who can speak with first hand knowledge of this interesting faith group. Thanks for your kind comment. Many of us have put in years of ‘church hours’ trying to feel at home and at one with the Divine Presence. I believe that we’ve been looking in the wrong place – who would have thought that the Divine spark is buried deep within our fractured psyche, ready to emerge shedding its Light and setting us free. Truly the Kingdom is within, the last place most of us devout seekers look, usually only when we lie exhausted and in tears. May Spirit carry you into this next stage of your Journey and draw alongside you in the stillness of the Night. Religion have turned our life upside down, I am not impressed. I wish it never existed. Yes Shah, religion tends to divide humanity into those accepted by Divine Love and those ultimately rejected by it. A traversty of the true nature of the divinity. I understand that some of the other groups do have pastors, choirs, etc. I will know if it’s a place for me to be. I have no intention of “joining” any group. I’m already in the only group that matters! Very interesting Lynelle. No leaders sounds good – poor old George would turn in his grave if he knew that there groups of Friends with choirs etc! Like you, I wll never join anything again as its unneccessary – we’re already at one with the Divine and indeed all those with open hearts. Organic is definitely the way I plan to to be, on the Journey Home. Thank you Sherry for your kind and encouraging words. Yes, the path we all travel on has many twists and turns, some extremely painful, as we learn to look within. What a surprise and relief it is to find the One there whom we’ve sought in the world of religious piety and ritual. I have lost 2 grandchildren – the first one ‘Joel’ would be 11 years old this months on the 23rd March. The second ‘Zak’, was last year (2011) at the beginning of June. It is heart breaking to loose a baby of your baby. Having said all of the above, the death of Joel was the catalyst for who I am now. And for what I have. I’m grateful for his teachings. I can understand deeply where you’re coming from Viola. In the sting of our pain, lies the spark of our Awakening, that opening of our eyes to what lies beyond. Thank you for sharing this very personal and sensitive part of your life. Clara thanks for your encouraging and most honest story. Many of us were like lobsters in an increasingly hot potful of water – hanging out where we’d always been, unaware of what spirit was trying to tell us. It took drastic action in my case but Divine Love managed to air-lift us out. Zan and I felt like prairie horses that had been stabled and broken – now we thankfully run free in Spiriit. Home at last. Glad that my writing resonates with you. If my blog or little book can encourage any of your friends who may be thinking of taking the plunge, please feel free to send them in my direction. It was one ‘hell’ of a roller coaster ride Donna! Hope I’ve been able to capture the highs and lows for all to resonate with! Thanks for dropping by. Good luck in all your endeavors, Dylan! Thanks Rebecca! Nice of you to drop in. May your own literary work reach a wide readership! Dylan I’m very glad to have met you. So sorry about the loss of your child, I can’t even imagine the pain and trauma that would be. I can relate to some of your journey in that I spent 40 years in a cult-like group feeling driven to find some kind of worth. I don’t think I came to a really good place until I finally left the 4th church and read Darin Hufford’s books and thoughts and became a free believer I guess. Now I am becoming more of a mystic and loving my relationship with God. Look forward to reading more of your thoughts. Sorry for not getting back to you earlier Warren. Glad to have another freed psyche-soul on the same Journey Home, a road trip of freedom and life! Lovely to hear from you. Hope you didn’t close your eyes as your dear lady read The Prodigal Prophet to you. Yes, many of us have trod the same road on our journey into continuing freedom. I too am convinced that Yeshua didn’t come to set up another religious organisation but something much more radical than that. A realignment of all mankind with the Source from which they were birthed. Will have a wee look at your links and send you an email in the next few days. Dylan, you know that Yeshua IS Divine Love, the Source and it is His Spirit that lives in us, right? Thanks for dropping by. Many have and do see Yeshua as the clearest human manifestation of Divine Love. I am one of them. Spirit also filled him in a way previously unseen in even the most spiritual of previous world sages and teachers. Hence the early Church father’s talked of the Spirit of Christ or of ‘The Annointed One’. Yeshua himself claimed that Spirit would also flow in us to accomplish even greater Love works than he achieved. The amazing thing is that the complete Sonship, Yeshua and his brothers/sisters, the extended family of Divine Love all share Spirit’s Presence mingled with their own. I love your repy to Melitta. It is a nicer way than saying “I just don’t believe all those doctrines any more.” If we ‘serve a living savior,’ he’s got to be more than all that. Thank you Rhonda. I try and explain my thoughts without using them as weapons of theological or indeed psychic war. I’ve lived through too much of that in my time. Hi Dylan, I just wanted to say thank you for sharing your story. There are too many of us going through this process of reconnecting to our soul-source. Thanks Julia. Glad my wee tale has resonated with you. If it can help many to come out of the ‘fear closet of shame’ and into the authentic freedom of Divine Love, I will be a very happy guy. Dylan. Read your “Prodigal Prophet” site with much interest. I too have written a biography about my spiritual journey into a deeper realization of Christ. For over thirty years I was a member of a Sabbath keeping denomination that identified who they were by what they did. And oh how proud I was of my accomplishments, as I was rewarded with ever-increasing responsibilities, that interestingly, allowed the paid ministry more time to golf and take vacations. But, be it may, at the time, their doctrine and deportment fit my narcissitic mentality. But I thank God that through the events and circumstances of a failing career and marriage, I began to seek Him on my own. Oh yeh, I had tantrums with God, blaming Him for all that had gone wrong, but finally He emptied me of myself and I saw Him. It was indeed as the Apostle Paul writes in Ephesians 1:17, a revelation of Jesus Christ. And thus, He placed me on a journey of self-discovery, to see myself as He sees me, a totally helpless creature who has no ability, strength, or love in himself to accomplish anything. I find only these things in Him. Thanks for sharing your own journey of freedom. Isn’t it weird how many of us will plug into a belief system that causes us damage rather than trust in a totally loving and begnign Deity. It’s only when the religious rug is removed from under our feet that the Light finally dawns. I can sense some of your struggles Dan, as I’ve been down that road myself. Blessings and Grace in your new Awareness of Self and Divine Love. Thank you Dylan for sharing your journey! I too, am on this journey after the death of my two year old son. Having grown up “in the church,” I realized that the god I had been raised on simply couldn’t bare the weight of my pain and was of little help and comfort. I have realized that I was raised with a head knowledge of God, but had never been introduced to Him personally. I don’t know what it is to have a relationship with him and to be led by his indwelling Holy Spirit. I believe what the Bible says about God is true and everything He promised me, he will provide. For the first time in my life, I am seeking to truly KNOW God and experience his love, minus all of the religious mumbo jumbo, rules, expectations, “shoulds,” etc.. I read your post, “The Walking Wounded” and my heart resonated with every word. I felt a great relief when you said “Authentic community takes root in the soil of human frailty and brokenness” Those who haven’t experienced suffering don’t understand that when one is struck with this kind of grief, there is no going back to who you once were. There is a part of me that is glad for that, as I would not want to return who who I was before. At the same time, it is a deeply lonely place to be. It is only in the interactions with others who know the pain of child loss where I can let down and be the real me. Kevin. Thanks for sharing your own journey of pain with me. Nothing is comparable to the death of our child in awakening us to a whole new world. You are so right; we can’t go back, only forwards. In our brokenness and loneliness we are shocked and surprised to find a new compassion within, both towards ourselves and others damaged along the Way. I truly believe that the Abba God of Yeshua dwells in our darkness, not in the throne room on High, that we have been led to believe. Glad that my wee article resonated with you and brought some relief. Please do drop by again and may Divine Love wrap you in its tenderness and tear stained compassion. Hi Dylan and Friends. I’ve read and enjoyed all your interactions shown in your blog. I feel deep love and connection and empathy with you all. Would like to read your ‘book of Life’, that is if I can surface from mine! I am a Christ-Spirit-God infused Person like you all are. Happen to be a Psychologist and ‘Life-Facilitator’, the latter for longer than I want to admit. Being a Mom of 4 (who became 8); and grandmom of 4 (going on 16); and having lost about 3 pre-birth grandchildren to ‘death-sleep’ as well as recently my much-loved husband of 30 odd years and my mother. Therefore I do relate to ‘loss’ or ‘temporary losses’, having been through a most horrible bush war experienced as a teenager where ‘loss’ was a daily experience. I also ‘lost’ permanent footing in institutions and churches, although I am in constant contact with many many more still. We chose to really rejoice in all these ‘losses’. Strangely I never found my Spiritual expression or gains through ‘losses’ parse and the ‘fear’ and ‘guilt’ and ‘shame’ and ‘hopelessness’ that normally accompanies that … but rather through ‘gains’ and ‘leaps’ and ‘Life-encounters’ with the ‘love’ and ‘hope’ and ‘godly-faith’ (from Him in me) that accompanied that. I had the strangest and weirdest Godly encounters since childhood and was presumably ‘dead’ at a time (I hear). Maybe therefore I just knew what I knew all along … seeking the big picture of intertwined God-Life showing up clearer and clearer in all and all. Everyone and everything has it, although sometimes suppressed and twisted. I grew up in a remote African bush area. Never had a huge religious input other than loving, believing Spirited parents exposing me to Christ-God in them; gathering once a month or so with others of our ‘kind’ then to be ‘church’ of sorts. They never had much time for theory other than living and being s/Self as expressing Himself through our-self to Africa all around us. My encounters with The Divine inside /above /around was never deeply touched or coloured by the layers and layers of African Mysticism encounters, or European Dogmatic encounters or American Quackery encounters that I experienced in numerous traditional or charismatic type churches over 50+ odd years. I loved every minute of being around the ‘people’ and serving them lovingly, although most would not always understand my ‘wacky’ freedom! Maybe that is the reason I cannot relate to ‘hurting’ as a catalyst to freedom, as much as relating to ‘living whole’ as a catalyst of ‘being’ FREE. My God-insights are focused and are always evolving towards the ‘Walking Whole’ and not the ‘Walking Wounded’; on the ‘Being Alive’ more than the ‘Go Wait in temporary Death’s-sleep’; on ‘Being Home’ more than ‘Going Home’; on ‘Kingdom Here’ more than ‘Heaven One-Day’; on ‘New Heaven-and-New-Earth Here’ more than ‘Temporary Being’ or ‘waiting for and pushing for wholeness’. We all are constantly challenged to allow our ‘gains towards ‘LIVING ALL-LIFE HERE’ to colour and determine our lives, more than our ‘losses’ or ‘hurts’ or ‘lacks’ in Body or Spirit or Soul … irrespective which way around it triggered the ‘God-in-us-the-Hope-of-Glory’ thing. God uses anything to show us His Presence and Perfection in us! The same way we do not relate to the lie of ‘lack’ or ‘nakedness’ (shame) anymore in any of our 3 domains. Original Life (wholeness in all our domains) calls us from another Tree of insight. The Sons that are Whole surface now. Earth will follow suit. Enjoy your wholeness in your/His Body in your/His Spirit and in your/His Soul (Mind). … Son … Ghost … Father … intact in you and in me! … Therefore not the choice for Life only but the realization of LIFE THAT IS … COMPLETE. Love you all bunkers kindred men of Living Earth! Thanks for dropping by with your perceptive thoughts. Always lovely to meet a fellow traveller on the Way, the Path of wholeness and Oneness. Since the fall, whether literally or figuratively, it is always death that must pay for life. Mine was my marriage. Yet the life that is gained is of surpassing worth than could ever have been attained otherwise. Only we who have paid the price understand and are thus commissioned to guide those who have lost (churched or unchurched) and are seeking into the safe and welcoming arms of the abundant Life giver.